Real coffee infused into Pure Vermont Maple Syrup. 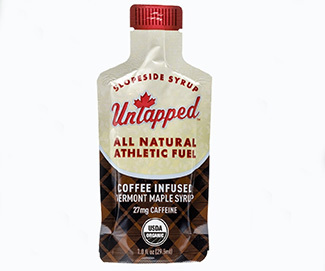 All the amino acids, electrolytes and minerals of pure maple syrup with an added kick of 27mg caffeine* from real coffee. 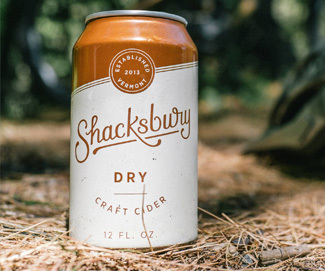 From the Shacksbury cidery to your doorstep. Each quarter, they ship an assortment of ciders including limited releases from their barrel program, passion projects, terroir-driven micro-batches, and special collaborations to their club members. 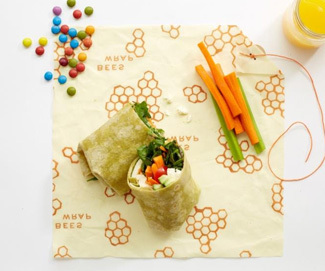 Bee’s Wrap’s gift offerings come with a challenge this holiday season, to ditch the disposables with their washable and reusable food wraps. The Sandwich Wrap is a lightweight and Earth-friendly alternative to disposable sandwich bags for packed lunches all year long. 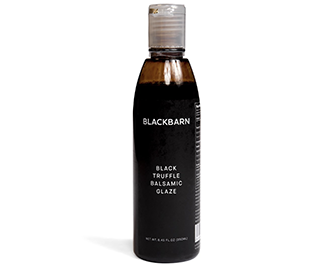 Black Truffle Balsamic Glaze blends the best of two worlds together: Balsamic Vinegar of Modena and truffle oil. 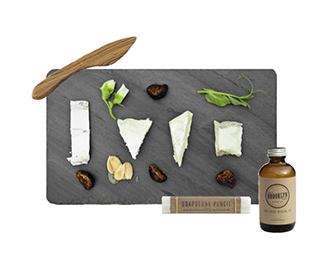 It is perfect for finishing sauces, dressings, salads and vegetables. 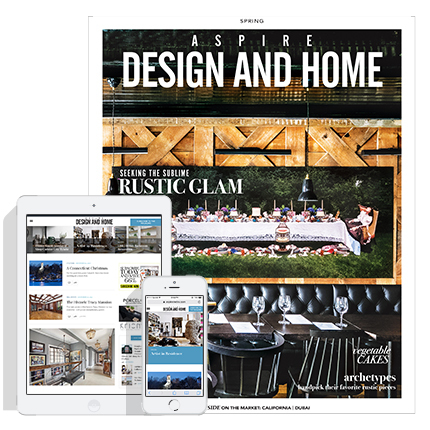 Looking to spice up your culinary life? 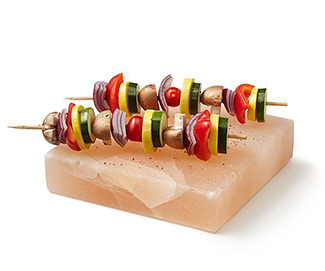 This hand-carved platter of Himalayan salt is your multi-tasking tool to do just that. 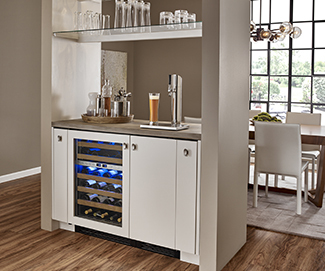 Its beauty and unique properties will allow you to present and even cook your food in ways that will delight your tongue and dazzle your dinner guests. 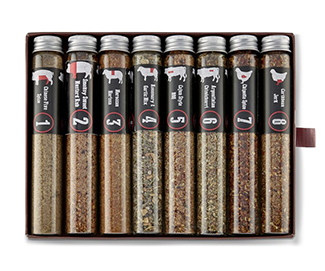 Add exceptional flavor to roasted or grilled foods with our set of eight spice blends. From classic Rosemary & Garlic to Chinese 5-Spice and Moroccan Harissa, the rubs are perfect for chicken, pork, beef, seafood and vegetables, taking everyday dishes to the next level. 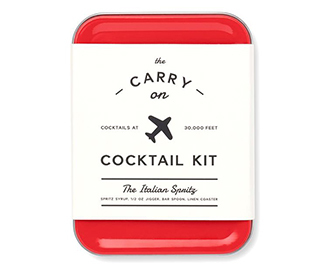 Inspired by Italian aperitivo culture, this kit includes the tools to craft two sparkling spritz cocktails mid-flight, including a refreshing citrus cocktail syrup. 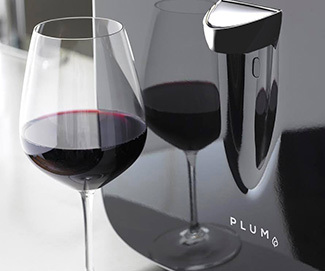 Just add Prosecco (or other sparkling wine) and stir.